We have been publishing a series of articles on our blog that highlight some of the staff that work with and at the Edmonton Convention Centre (SCC). Our last post spotlighted our new General Manager, Lisanne Lewis. For this post, we met with Ed Pilecki, Client Service Manager. Ed is the go-to guy for concerts at SCC, with over 25 years of experience in our industry. Meet Ed Pilecki. You’ve been working at SCC for many years. What department did you start in, and how did you get to be a Client Service Manager (CSM)? I started as a banquet server in the 1980’s when I was in high school, slowly working my way up to become a banquet captain, and eventually a CSM. What’s kept me here is the fact that no two days are the same, and your co-workers are like your second family. It’s an amazing environment to work in. Let’s talk concerts. You work with some of the industry’s largest promoters; Live Nation, AEG, Boodang, Golden Voice. Walk us through the general process of booking a show. Many months prior to the show, a promoter or agent will contact us with a list of potential dates. If we have availability, we hold the dates, and work with them to refine those dates over time. They’re typically looking to hit several cities close to one another within a short time frame, like Edmonton, Calgary, Dawson Creek etc. As long as the dates fit and the timing and availability work, we book the event. What makes the Edmonton market stand out and be a consistent stop for major tours? Edmonton in general is a strong market for concerts. Our community has a thirst for entertainment and shows seem to always sell out. I always say we’re the gateway to the north; Edmonton attracts concert fans from all the surrounding areas of Alberta. People travel to Edmonton as a central destination for entertainment and it’s a major economic driver for our city. 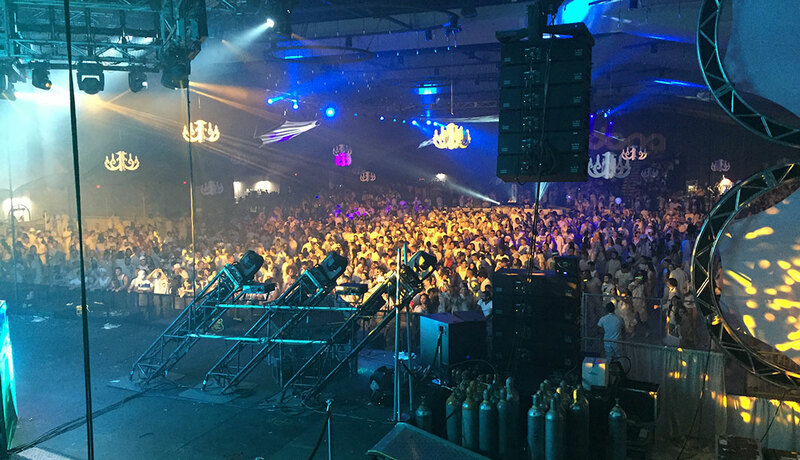 What makes the Edmonton Convention Centre a great 5,000 capacity concert venue in Edmonton? Our open floor plan is a huge asset. We can manipulate the room and also do cabarets. There aren’t a lot of venues that can be manipulated like ours. Whatever the promoter wants, we can create. What’s the day of a show like and how do these special events differ from others – from set up to take down? I always make sure to remember that these concerts and shows are traveling and always on the road. For them it’s all about cost and efficiency. As soon as they arrive they hit the ground running and are usually operating on limited sleep. As with all our clients, we strive to provide them with the best experience possible so they can do their jobs with ease. It’s not uncommon for a show day to be 18-20 hours. How has the entertainment industry changed since you’ve been involved, and what are some trends you’re seeing, good and bad? Ticketing is a major trend that has changed; everything has gone paperless and is now primarily done online. The changes in marketing and rise of social media has also shifted the landscape in both good and bad ways. Power, lighting and weight loads are also much lighter than before. While overall improvements in technology has made things easier and allowed tours to have much larger productions, the core elements of the business still have not changed. Fans want to see their favourite artists perform live and promoters want to fill the seats while ensuring it’s a profitable venture. Having been here so long, you’ve seen some pretty great performers come and go. Who are your favourites & why? I’m throwing it way back to Pearl Jam, Foo Fighters, Dropkick Murphys, and really recently G-Eazy. G-Eazy was the nicest guy, and I think he’s going to be huge. The guys in Pearl Jam were also so down to earth. Eddie Vedder, the lead singer of Pearl Jam and one of the world’s biggest rock stars, played our convention centre when I was a part of the banquets team and walked across the entire hall just to thank us and chat. The humble and down to earth artists are always the ones that stick out in my mind. Who would you like to see come to SCC? Personally, I would love to see 30 Seconds to Mars. They would be a great fit for our venue. Really, any show with an intimate crowd and an artist playing their hits is perfect for SCC. Each year you travel to Pollstar. Why do you think conferences like this are important for booking managers? Relationship building is key in this industry and Pollstar is usually where most of us in the business meet, talk shop and confirm shows. It’s hard to do this stuff over the phone and is important to have that face to face networking opportunity. It’s a learning experience as well; the newest technologies, tips and best practices are shared at events like this. 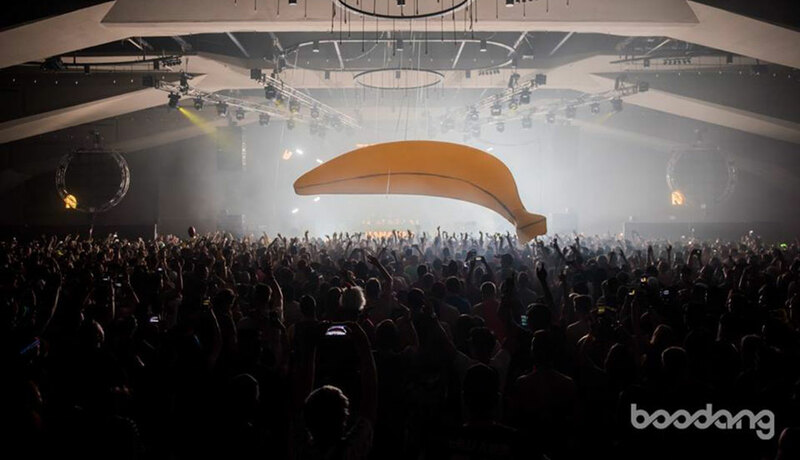 SCC is one of Edmonton’s only large event venues that still hosts Electronic Dance Music events. How do we prepare? Many months in advance we work on a contract, prepare a security plan, and submit it for a license. The Public Safety Compliance Team, Edmonton Fire, Alberta Gaming and Liquor Commission (AGLC), and medical come together to we ensure we’re all on the same page and providing a safe environment for our guests. We have a standard list of things that we do for the dance parties that are very different from regular concerts. These include extra security, I.D. scanning stations, water stations, double and triple checking to ensure there are no hiding places and so on. What precautions do we take to ensure guest safety? ID scanning ensures that there is a record of every single person that comes into the event. There is no re-entry and we have additional security in the smoke pits and bathrooms. At 2:00 a.m. the bars close, even if the runs until 6:00 a.m. All liquor must be removed between 2 a.m. and 3 a.m. and we physically go through the event to remove it all. You meet a lot of performers who are in Edmonton for their first time. Do you have any suggestions to share on what to do here? Where to eat? What to see or check out? I find that artists always like to go to record stores; they’re always on the hunt for new vinyl, something unique and vintage. We’re lucky to have a few of those in the city that I always recommend they check out when asked. 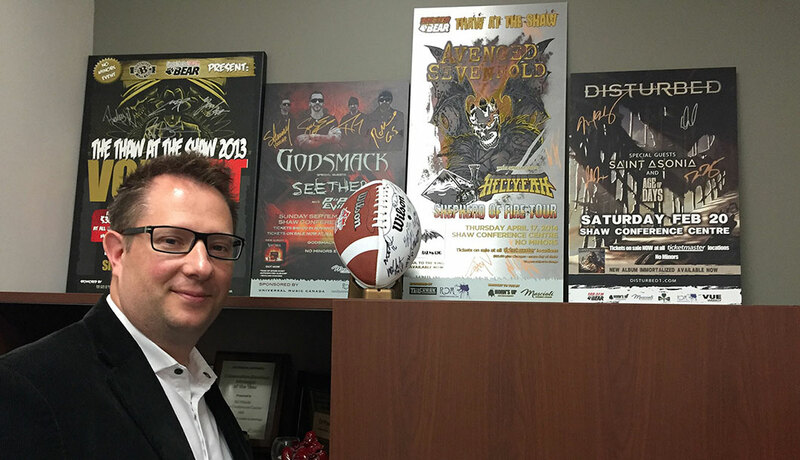 When speaking to promoters, I emphasize Edmonton’s strong history of being a destination for entertainment. Our city is so diverse, not only in terms of the population but also the number of venue sizes from which they can choose. No matter what genre of music, we’ve proven to have strong ticket sales in good times and bad, and be a major draw for concert fans across the province. With guests coming from all over Alberta and sometimes Canada or the United States to see these shows, the economic impact is significant.